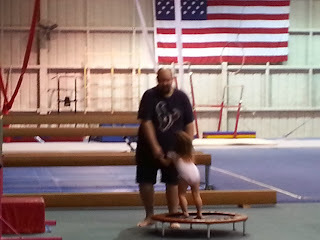 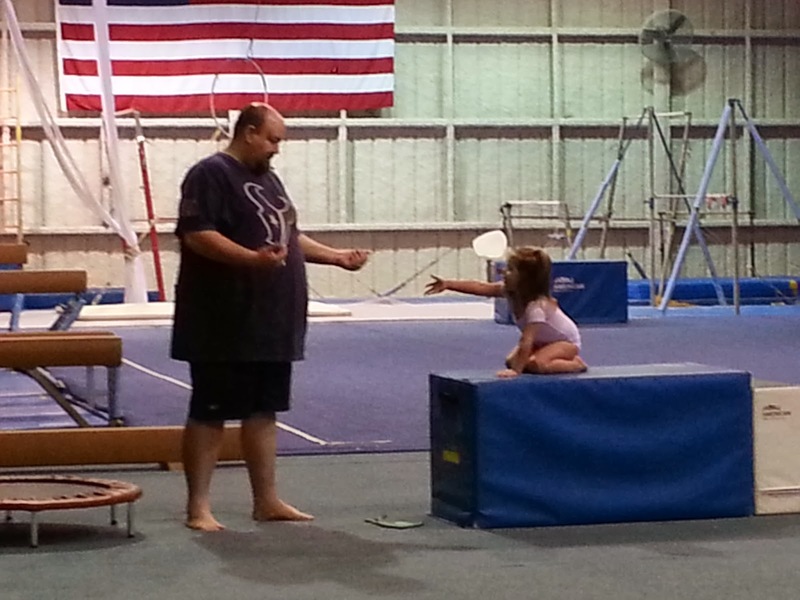 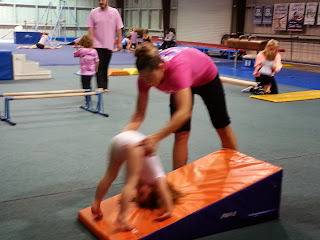 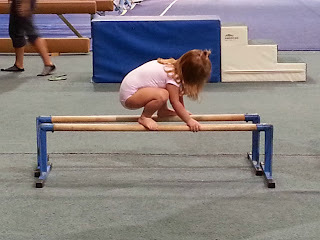 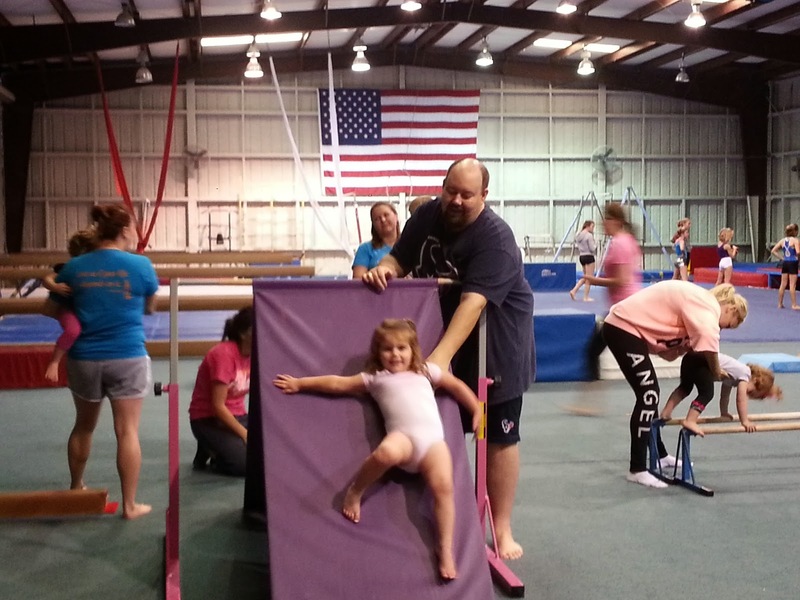 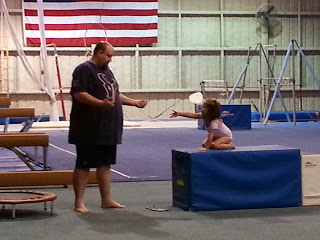 Abby is still enjoying her gymnastics classes on Saturday with her Dad. 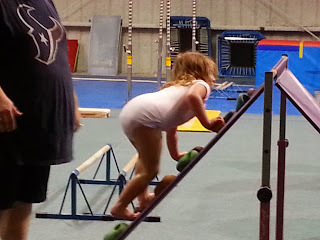 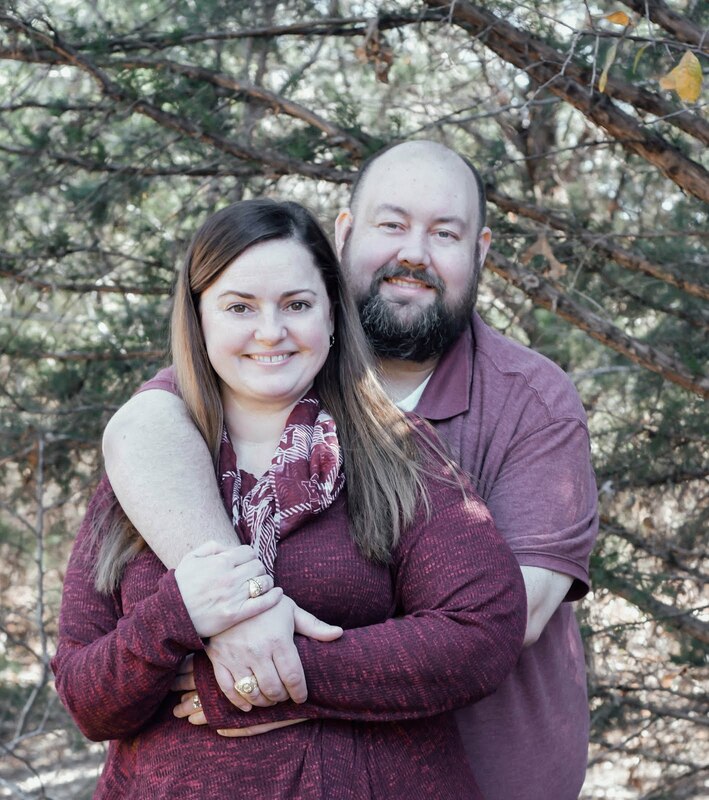 She has been growing in leaps and bounds. 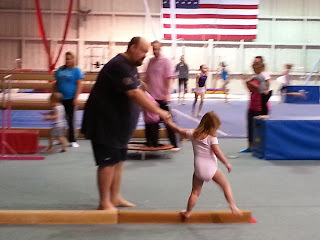 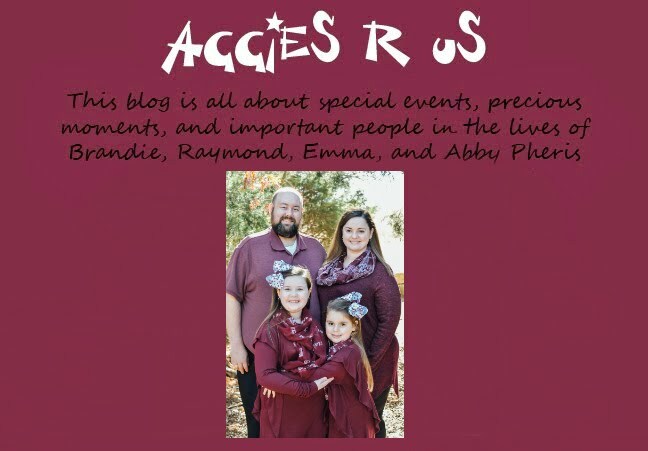 At times she would rather do her own thing than follow the routine of her class, but she has improved over the last several months and is even doing forward and backward rolls off of her bed!